Is your collection properly insured ? Top prices achieved at auction and the arrival of the holiday season mean there’s no better time to get ready for an insurance review of your art assets. First things first, it is very important to take out an insurance policy that is specifically designed for covering fine art because in most cases owning artworks involves a host of complexities that standard home insurance policies may not cover. The valuation process for example can be handled very differently by non-specialist insurers meaning you are less likely to get the amount of coverage you need. A specialised insurer will also allow for the automatic coverage of works bought by a collector, before the collector has even notified his insurer. It is all the more important because it is at times of purchase that works can be at the most risk as a result of being handled and transported. If you think that there are no risks of theft for your collection and therefore no need for an insurance coverage, think twice. 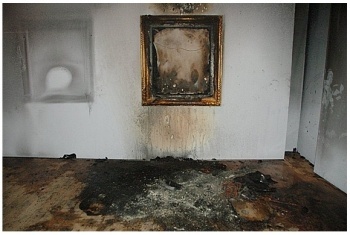 Transport, fire and water leakages are the most common claims regarding art insurance. It is therefore always sensible to update the valuation of artworks.They should ideally be revalued by art professionals once a year. Market changes can play a significant role in an artwork’s value, and unless these are specified and updated in a policy, it will be difficult to claim their real value should anything happen. And because art theft has been happening for centuries, it is worth considering taking out a defective title cover, which will reimburse the cost paid for an artwork if it transpires to having been a stolen work. Last but not least : if you think that art insurance is expensive, don’t wait until there is a claim to discover that losing an art collection is even costlier. 1858 has contacts with some of the best brokers in the market place and prices for coverage. We are able to conduct reviews of coverage in place and have been able to save clients in excess of 40% of the premiums they had been paying. Please make contact if you would like to discuss in confidence valuations and insurance coverage for yourself or a client.